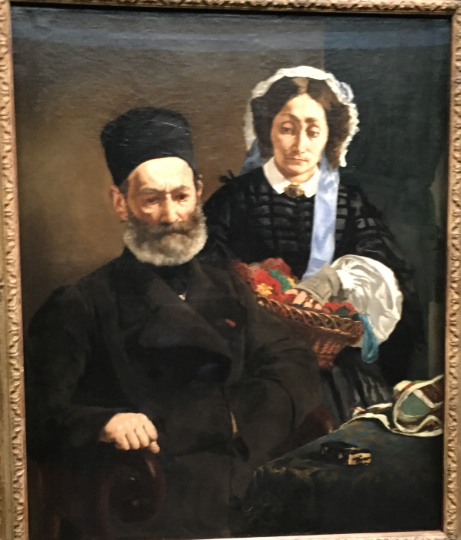 Yesterday while here in Paris, the wife and I checked out the Orsay Museum in Paris. 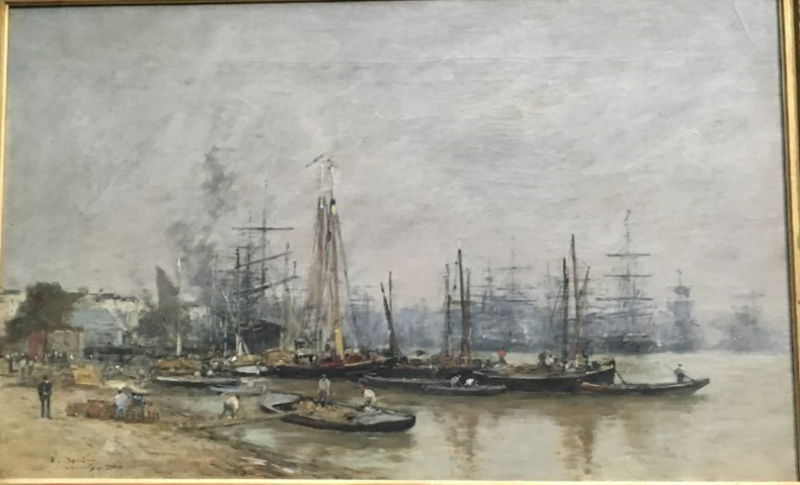 It is composed primarily of Impressionist and Post-Impressionist art, which covers a time period from about the mid-1850’s to 1914 (right up to the start of the first World War). 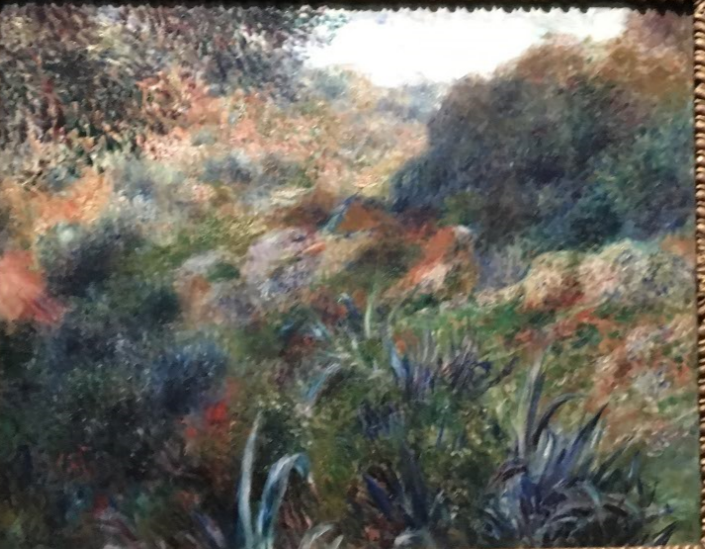 I wanted to go to this museum because ever since I started learning about art, I discovered I kind of like (some types of) Impressionism. For you see, after the invention of the camera in the 1800’s, artists suddenly found themselves in competition with photographers as to who could create the most realistic recreations of real things. Artists realize they couldn’t beat photographers because the turnaround time between a painting and photograph was so disproportionally in favor of the photograph. So, artists realize they had to evolve. They started(ish) with Impressionism. 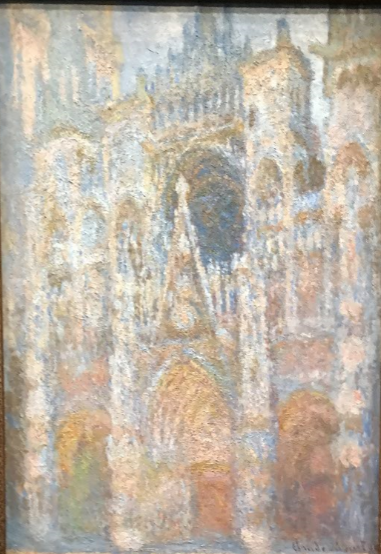 Impressionism takes a real scene and rather than painting a replica, it capture the essence or an impression of the original. You can still see what’s there and what’s supposed to be drawn, yet these are clearly not exact recreations of the original subject matter. That’s what I like about Impressionism, it’s not making me think too hard which a lot of later modern styles do. 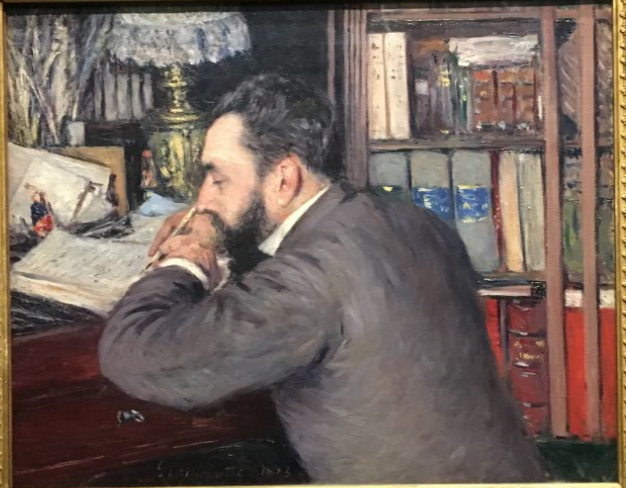 I’ve thought a lot about the mural on our wall at home (I can’t find the link at the moment, but it’s here somewhere on this blog) and I think it’s a mixture of Romanticism and Impressionism. So, even back then when I had no idea about art, it still kind of spoke to me. 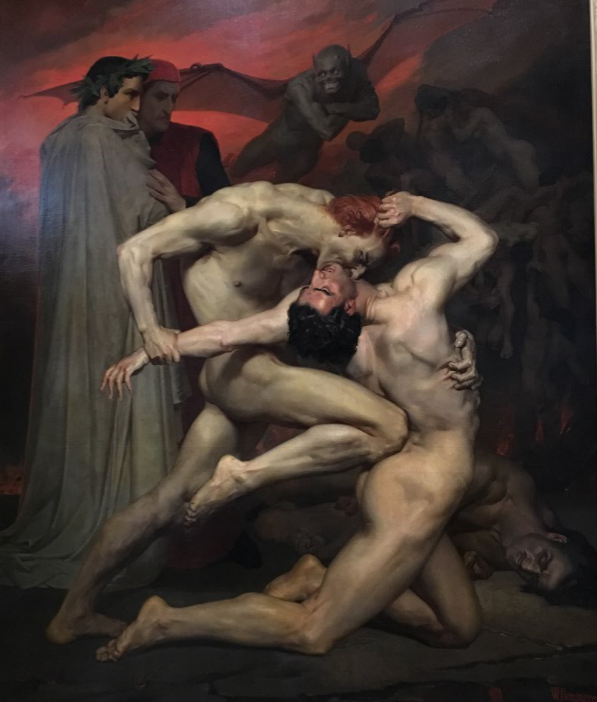 And there’s this picture I also found in the Orsay. I have no idea what this is all about. This past week I learned something. Me and the wife went to Normandy, France. 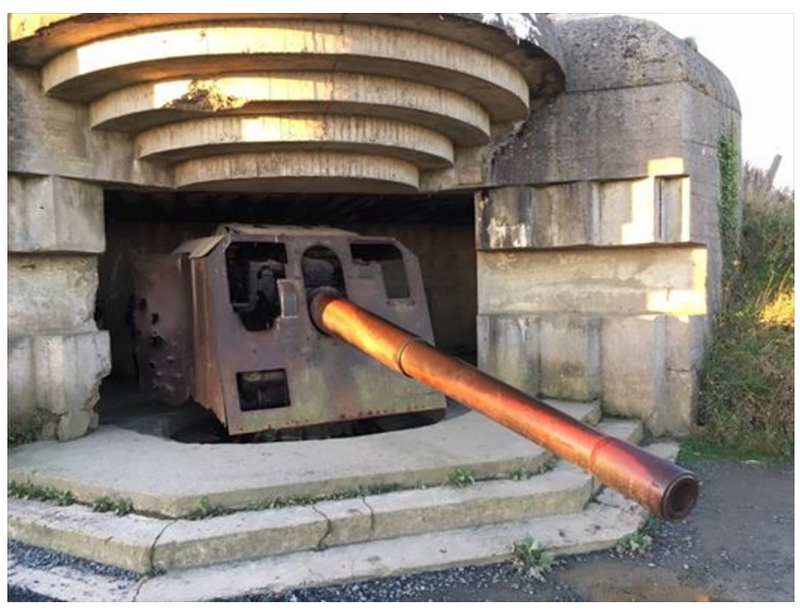 We took a D-Day tour (the wife has posted pix of it on Facebook, I don’t have any). I always thought that the Allied landing was all the countries’ personnel working together in one massive group and storming the beach together. I got this perception from all the movies I’ve seen of it (well one movie- Saving Private Ryan). But it turns out that’s not entirely accurate. There were five different beaches they landed on (spread out over 50 miles), and they were separated into the respective nations. The U.K. landed on Gold and Sword beaches, Canada landed on Juno beach, and the US landed on Omaha (the Saving Private Ryan one) and Utah beaches. They were all supposed to meet up but nearly all of them were delayed due to weather and other factors. I have a skill of going to work conferences and not paying for food, because other companies are always willing to take me out. Well, two days ago was no different. We went on a tour of Montparnasse Tower, and that afterwards went out for a three course meal at a local French restaurant. It was pretty good. But the thing I want to talk about is the dessert. 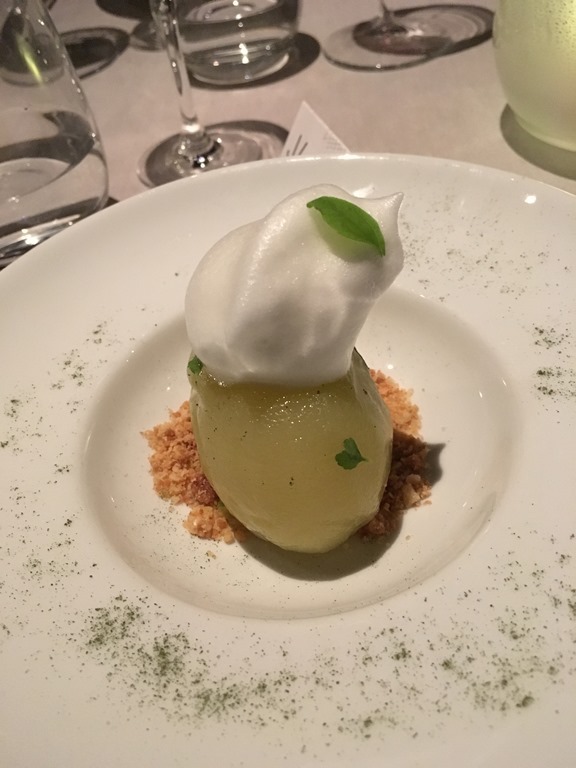 I had no idea what it was but had a choice of three – lemon meringue pie, super-chocolate pie, or rum baba. 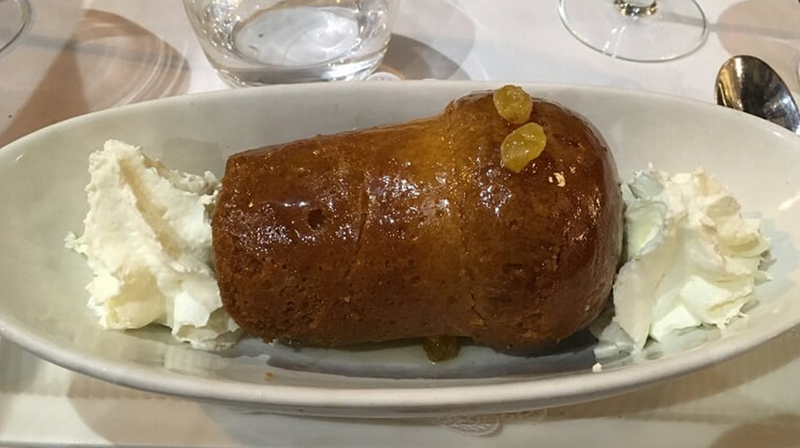 The other two sounded super sugary so I went for the rum baba. I had no idea what it was and figured it was worth a try. I didn’t mind it, but a few of my colleagues tried it and said “Yikes! This is way too much rum!” After a couple of bites they were done. One guy put a bit up to his mouth and immediately put it down again. I didn’t mind it. It was soaked in rum but I don’t mind the taste of it that much, and I liked the pastry part of it. 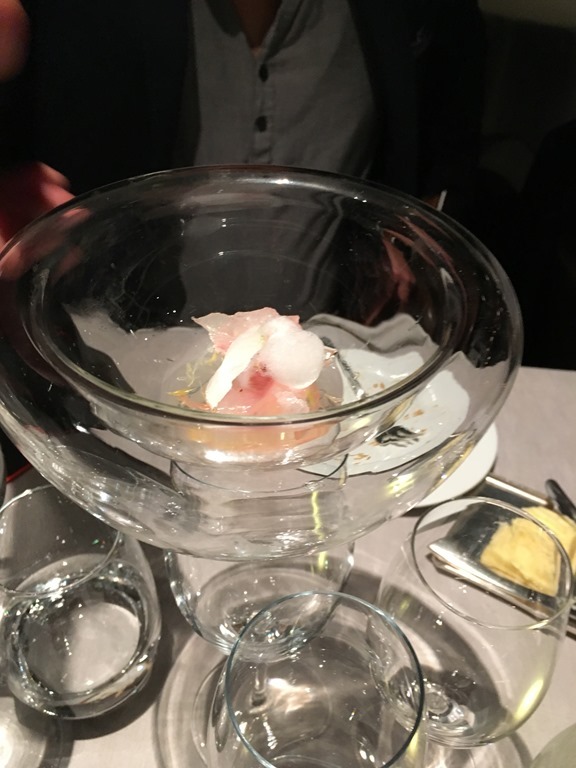 But still, it was a little much and was quite rich. I only ended up eating perhaps 20% of it. So that’s my experience with a new dessert. For many years, I was never a beer drinker. That changed in 2013 when we were travelling in the Czech Republic and I discovered that I liked the beverage. Over the three years since that time, I have seen my tastes shift such that beers I never used to like I now do, and beers I used to I like I no longer do. The best example of this is dark beer (stouts and porters). They used to be my favorite, but now I’m like “What else is there?” if presented with that option. The same thing has happened to me with wine. I was never a big wine drinker, but when people asked me if I wanted a glass of wine I would usually get a red. But over the past few months, in rough alignment with my preference for lighter-colored beer, I’m not as big a fan of red wine anymore. I think I like white wines better, and also rosés. I’m not sure what it is. I find the red wine too… I don’t know the word for it. Maybe the white and rosé have a cleaner finish than the red? I know that I like beers that have a clean finish, but I’m not that attached to them. I’m also the same with coffee. I prefer lighter roasts than the darker ones (e.g., Italian roast, espressos). It’s kind of a pity to be in France and not want to try out all the different kinds of wine because that’s what France is known for. But they are also known for cheese, and baguettes. Me and the wife are currently in Paris, France. I’m there for work and the wife is there for vacation. Yet because I’m reasonably well known in antispam circles, I was invited to come to a dinner at Le Jules Verne, a fancy restaurant at the Eiffel Tower with a bunch of other people in the email industry. It’s on the second floor of the tower, and you have to dress up; you can’t dress like a hobo. To prepare, I bought myself a sport coat back in September, and I also bought a $10 navy-colored time from Ross store so I could look a little fancy. Le Jules Verne tries to serve up an experience, and it’s one of the higher rated restaurants in the city. I never take pictures of my food (unlike the wife) but this time I thought I would because I knew the wife would ask me what I had to eat. I never ask the wife what she had to eat when she goes out, but she usually asks me what I had. So I took pictures. I did this so that I could explain what I had, and how I liked it. We had a seven-course meal, per below. I realize now, two days later, that my memory of the meal is actually pretty hazy. Apologies for the poor descriptions. This is a seafood dish with a lime sauce. A little bit slimy. 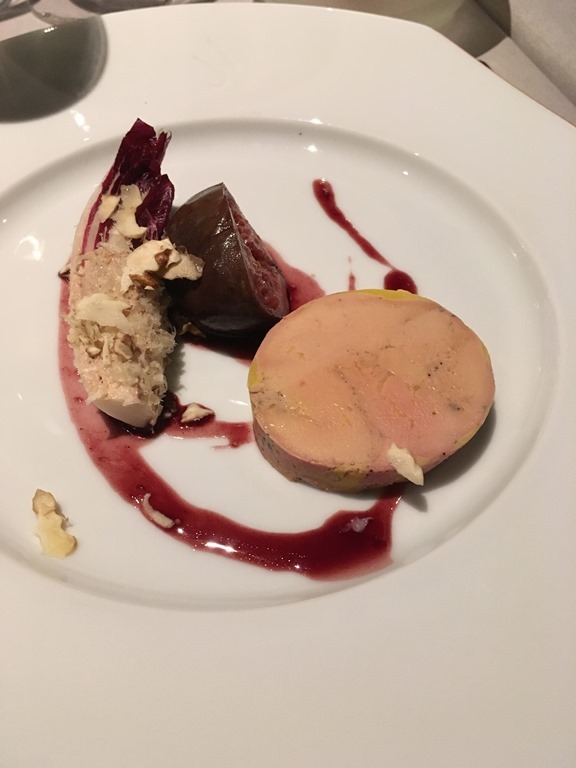 Foie gras with a vegetable on the left hand side. I’ve had foie gras a couple of times and it’s always been okay, but this one was pretty good. 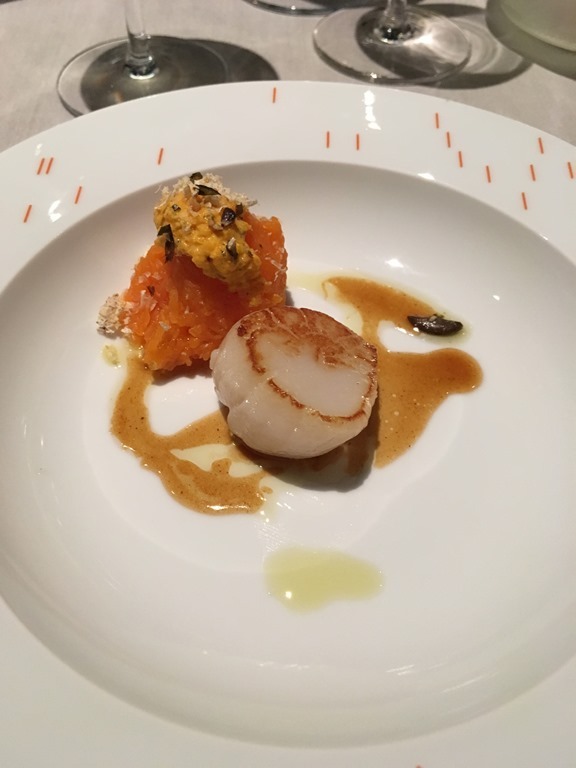 Scallops with shredded… carrot? The sauce was good, too. 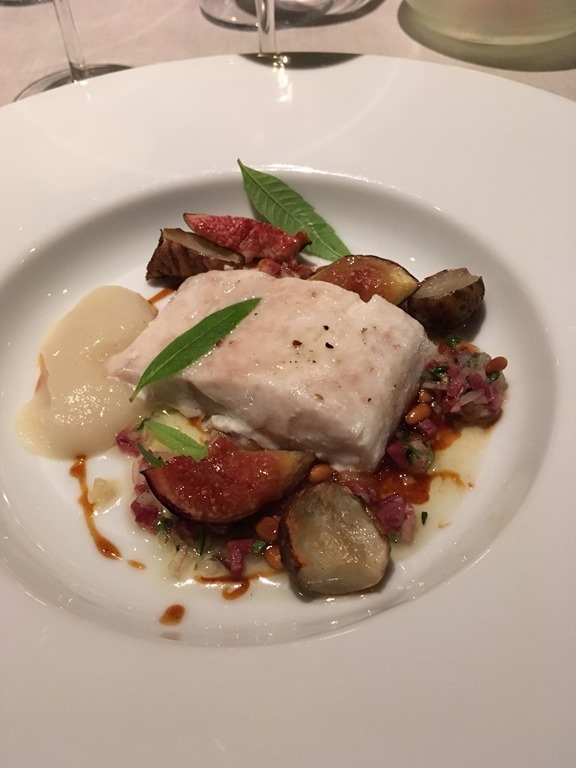 Fish with fried nuts or figs. I liked the nuts on the side because of the combination of sweetness and crunchiness. Beef with mushrooms. The French like their steaks more rare than the average American. I like mine medium-rare so this was just right. 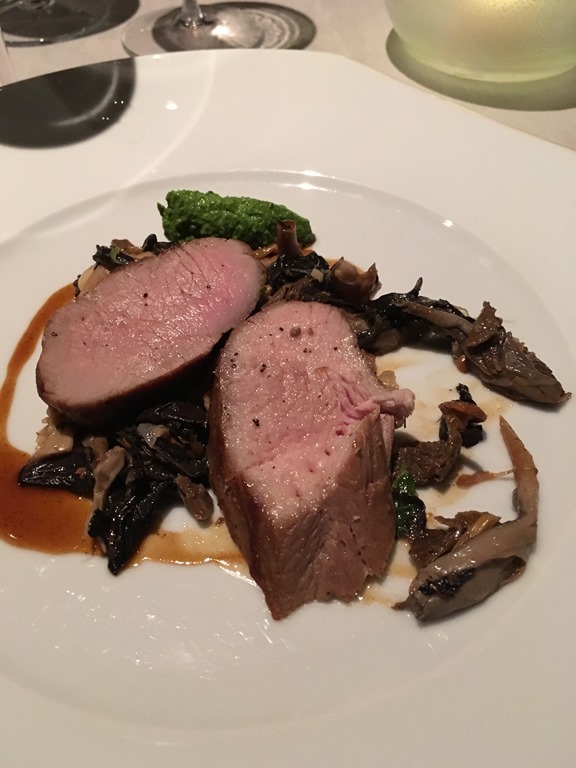 My rating: Very good, although I didn’t care for the mushrooms. A fancy dessert, fried pear with whipped cream. The crunchy stuff at the bottom was good, although pear is not my favorite food. Chocolate + chocolate! 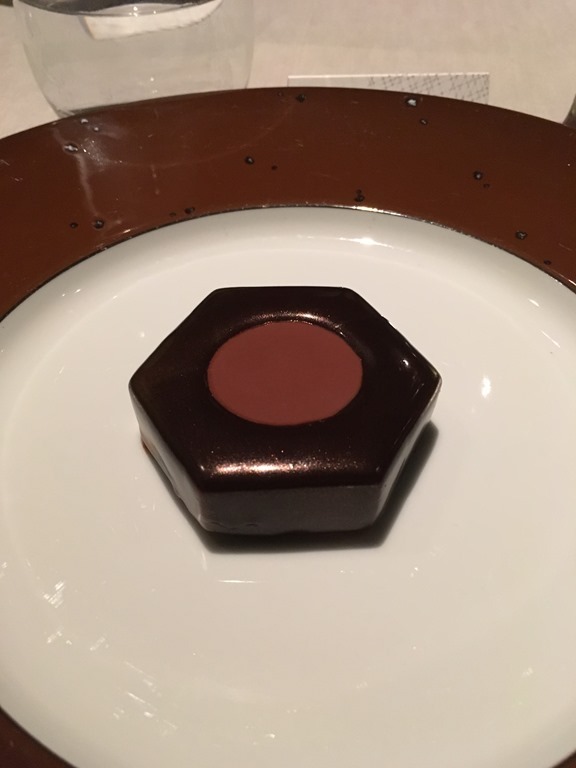 The shape of the dessert is supposed to be a nut, as in, a large piece of hardware from the Eiffel Tower. This was really good, I didn’t finish it because it was so rich. Also came with ice cream. Not only did we get the above seven courses, we got bread. Well, actually bread rolls. I thought the Germans were the masters of bread, but I think the French have outpaced them. We also got five types of wine – champagne (which I skipped because I don’t like champagne), two different types of white wine (my rating: very good), one red wine (my rating: okay… I don’t really care for red wine at the moment), and a dessert wine (my rating: not bad, although sweet). So that’s what I did at the Eiffel Tower.